This window depicts in the left hand light the Blessed Virgin Mary holding the Infant Christ. The shield at the top of the Window bears the monogram of the Virgin Mary. The right hand light shows St. Anne teaching the Virgin to read, with the symbol of a book denoting learning in the shield above. 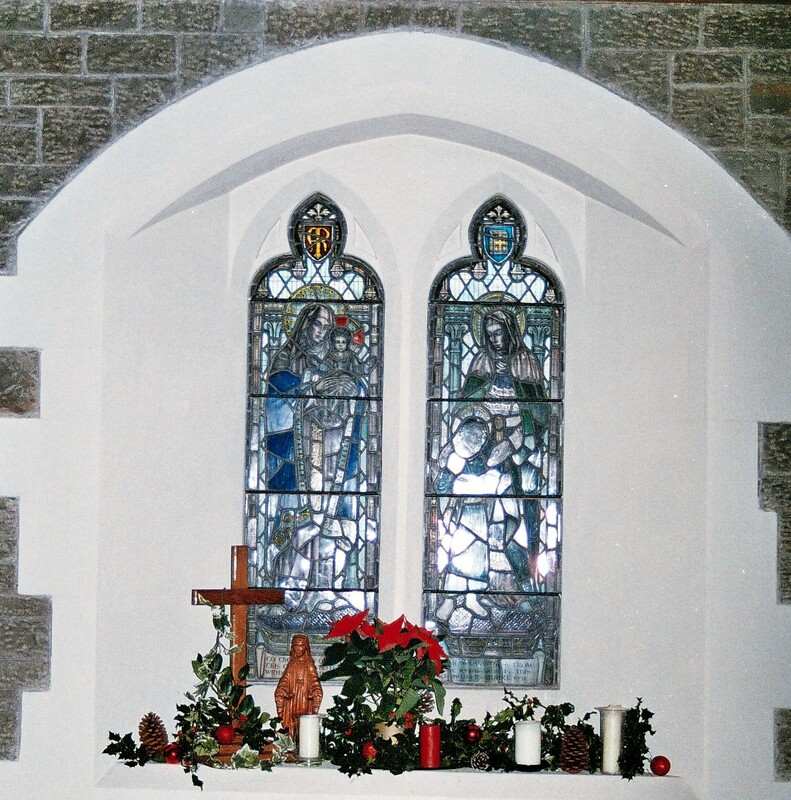 This window, presented by Dafen Mother’s Union in 1952, is dedicated to the memory of the fallen in the two World Wars.